This stately former single family home in the 4700 block of Malden has certainly seen better days. 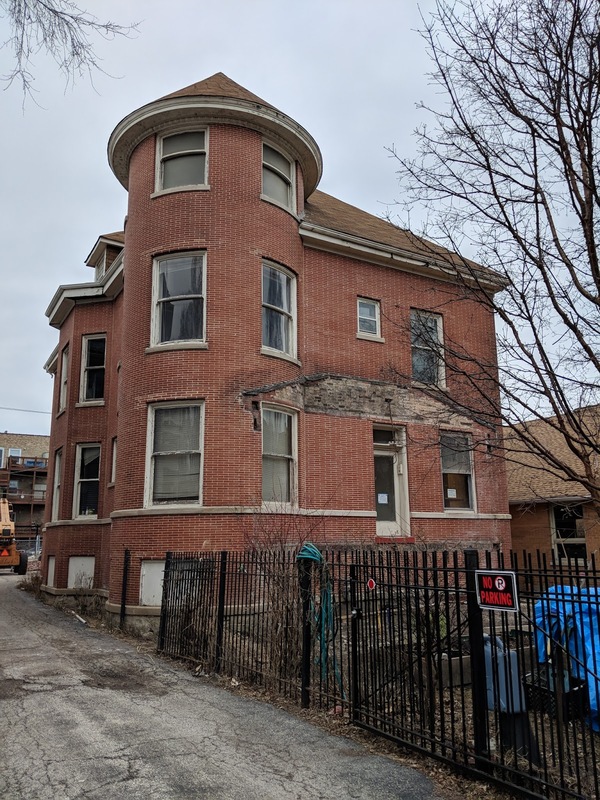 Work is now underway and it will soon be reborn as "Uptown Porch" which hopes to engage youth in urban ministry in cooperation with the neighboring Lakeview Church of Christ. "The historic, three-story home that houses Uptown Porch was built in 1895. For decades, the house was the home of a single family, but after the Great Depression, the economic gloom for which Uptown had become notorious befell the house too. During the following years, the building became a boarding house and the site of other inauspicious uses, including use as a moonshine distillery. In 1929, the Chicago Tribune reported that “dry raiders” had confiscated a 600-gallon still and 950 gallons of alcohol from the house. In 1962, the house was purchased by Lakeview Church of Christ, and was used as a parsonage until it fell into disrepair." Up till now, the house has undergone extensive tuckpointing repairs. In the past week, the front porch was removed, but according to the rendering below, it will return even better than before. 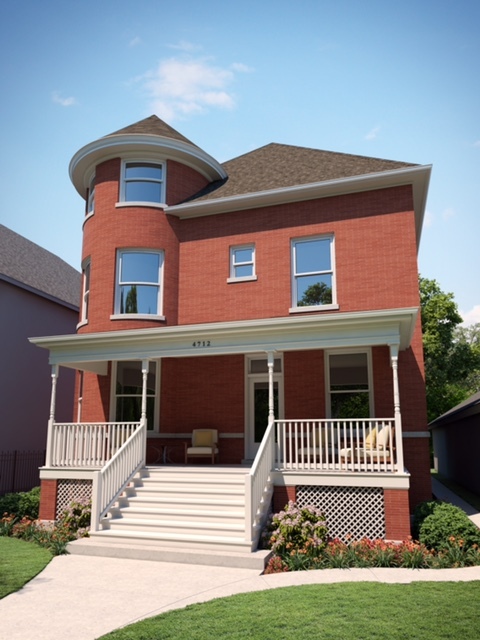 We are always happy to see historic Sheridan Park homes brought back to life and welcome Uptown Porch to the neighborhood!